Amelia’s class is learning Italian and very soon her school is having their first ever Gelato Day! But not everyone is excited. The new boy, Harry Truffle, won’t smile and there’s a graffiti bandit on the loose. One more piece of graffiti and the principal has threatened to cancel the event. Amelia is angry, and becomes determined to catch the culprit. 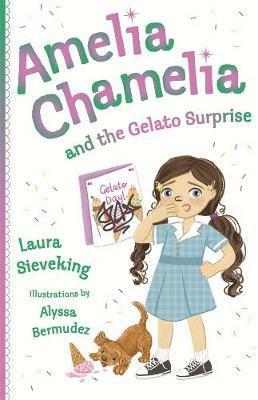 But will she be able to keep her cool, or will her chameleon powers take over and reveal her secret?